These programs celebrate the timeless teachings of the late Zola Levitt, one of the most beloved Bible teachers in America. Highlights from 30 years of television broadcasting are condensed into 4 half-hour programs that examine Zola’s early, mid-career, and later teaching. On-location footage from Israel gives viewers insights into the biblical world and Word. Zola taught the Scriptures from a decidedly Jewish perspective. In one of his first series, Messiah, Zola taught about Jesus’ Jewish beginnings; in Armageddon, he talked about The End. This program contains these and more. Drawing on Zola’s mid-career teachings, we see him investigate and extol the Gospel’s expansion beyond Jews—to non-Jews. Though many knew Jesus as a Savior, Zola wanted the world to know Him as a Jewish Savior. This program offers samplings of this emphasis, and also delves into the Dead Sea Scrolls, introduces Islam, and considers prophecy. Zola’s contagious love for Israel—which mimics the Scripture’s—is apparent in his music, books, and TV productions. 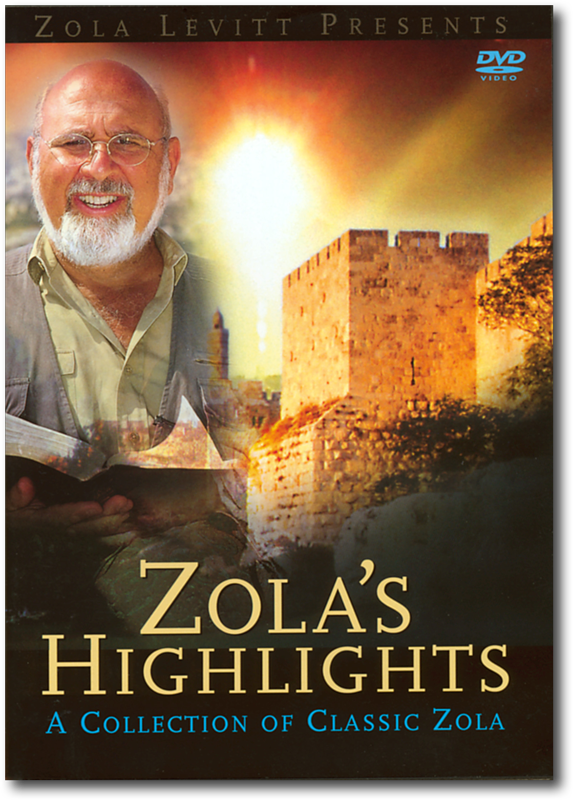 This program visits Zola in mid-career when he teaches about the Bible’s Jewish roots, emphasizing his trademark subject: prophecy. Viewer interest in how the Old Testament holy days connect to New Testament events made The Holy Days of Our Lord one of Zola’s more popular series. Zola examined that connection by focusing on those who claimed to follow Jesus: early Believers, Crusaders, and others. The program concludes with an interview with author Tim LaHaye.